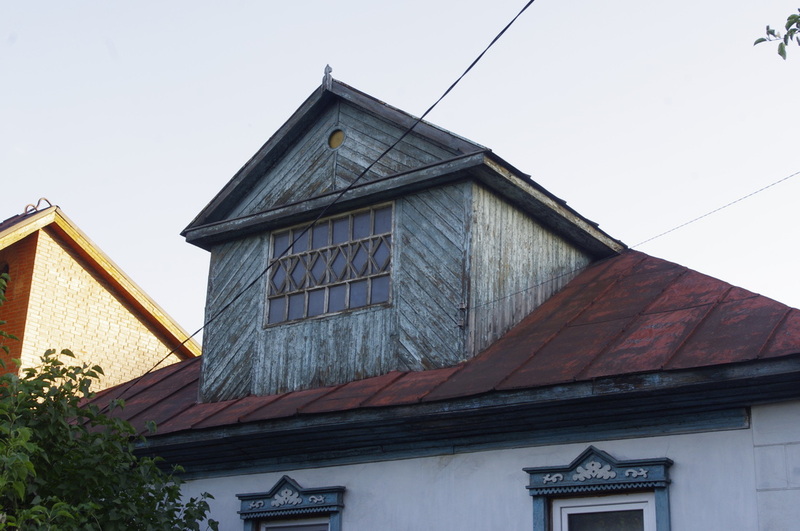 Along with ornate gables, carved eaves, and windowframes, the dormer is one of the finest tools in the Russian home's arsenal of charm. 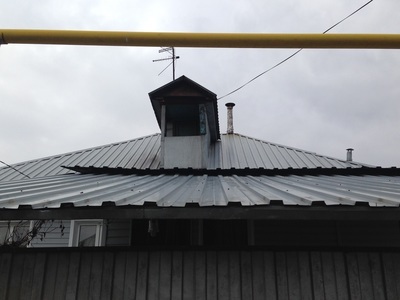 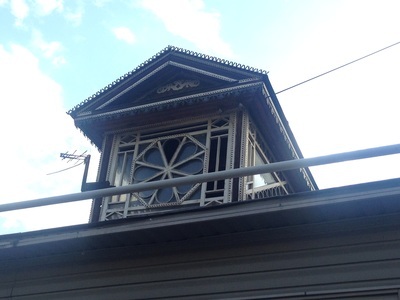 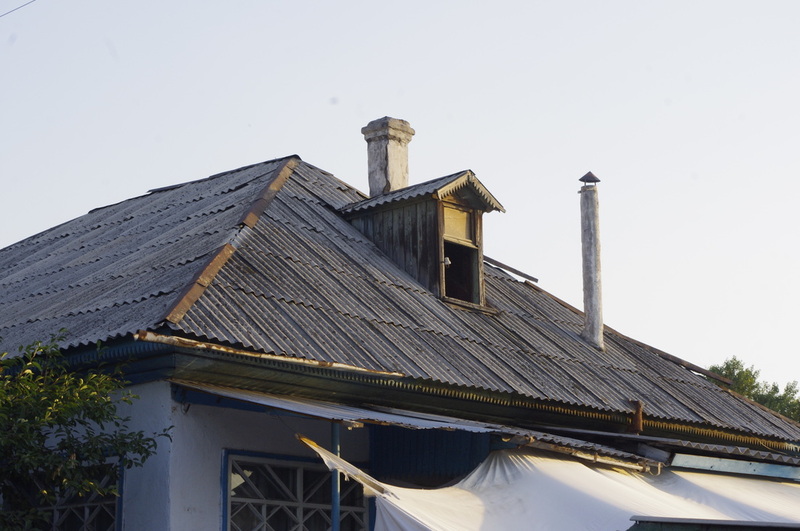 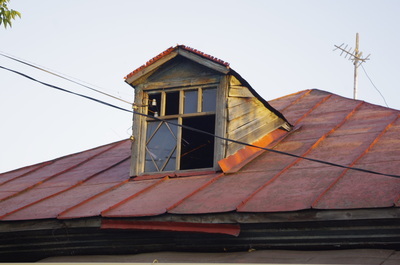 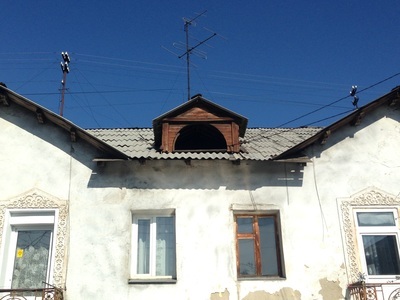 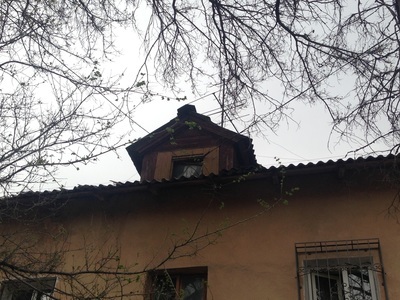 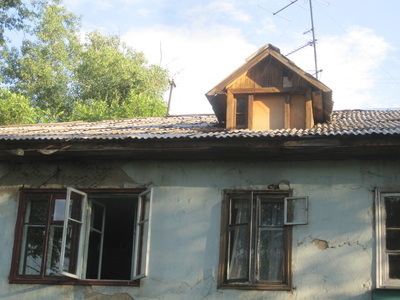 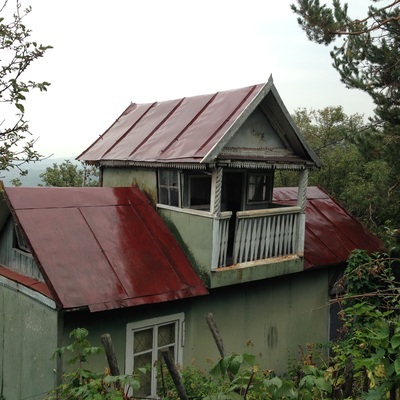 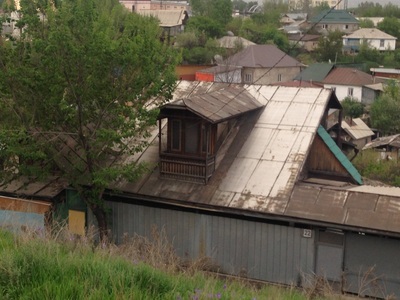 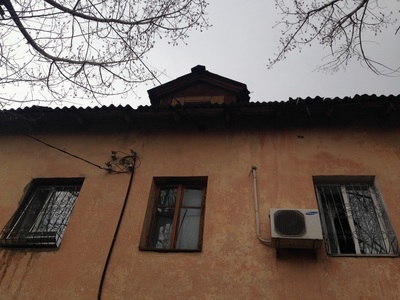 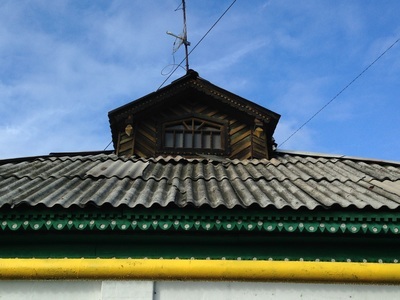 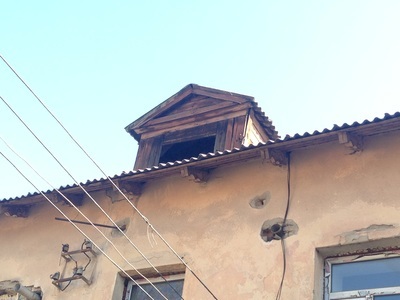 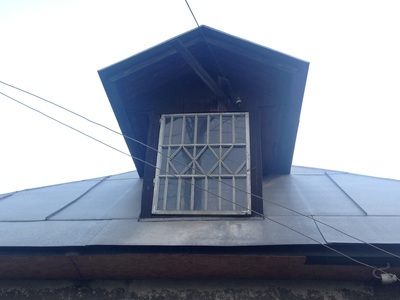 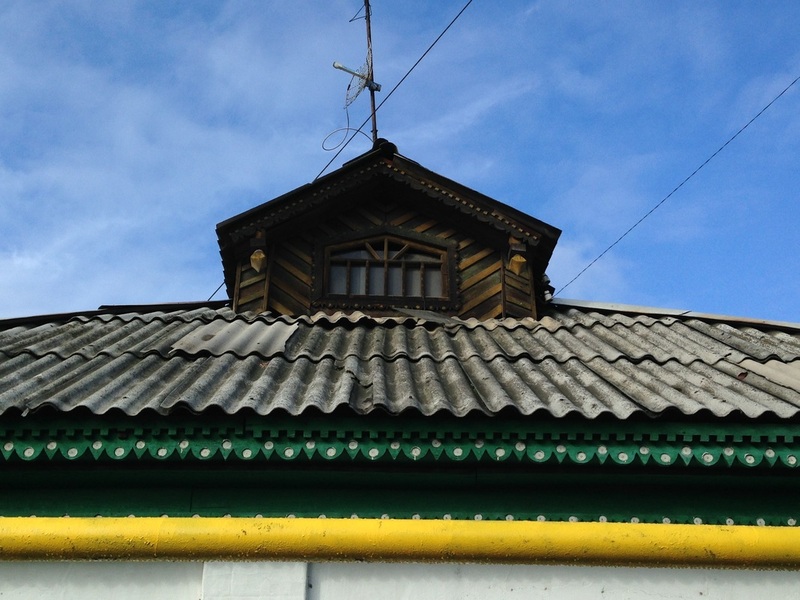 Technically speaking, a dormer [слуховое окно; slukhovoye okno; or светёлочка; svetyolochka] is a structure that protrudes from the sloping surface of a roof, and it's often called a dormer window because it's built to let in light to the upper level of a home. 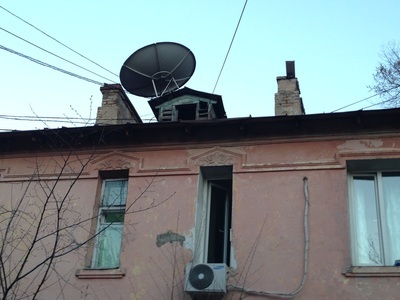 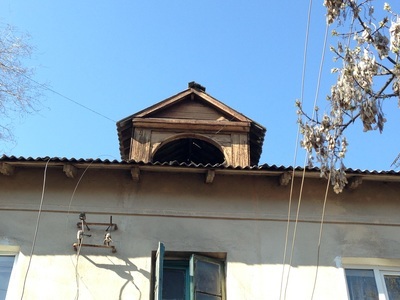 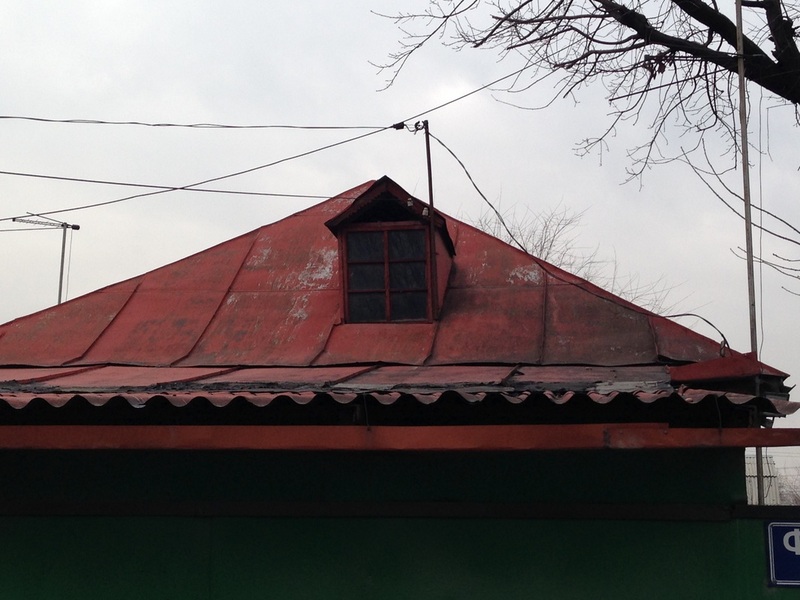 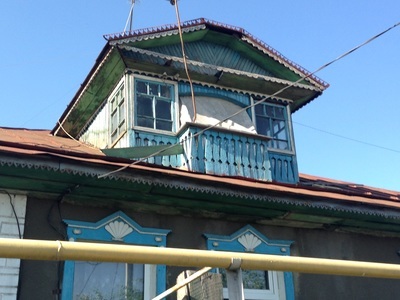 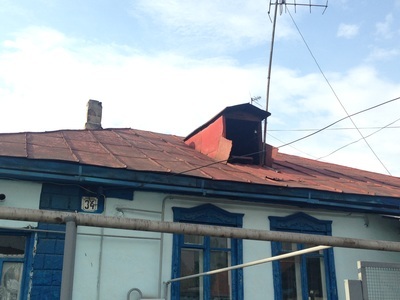 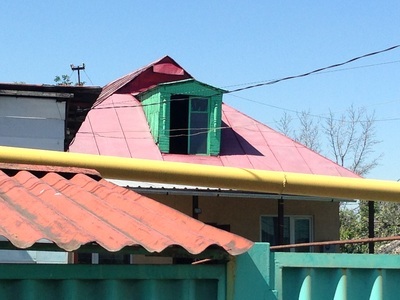 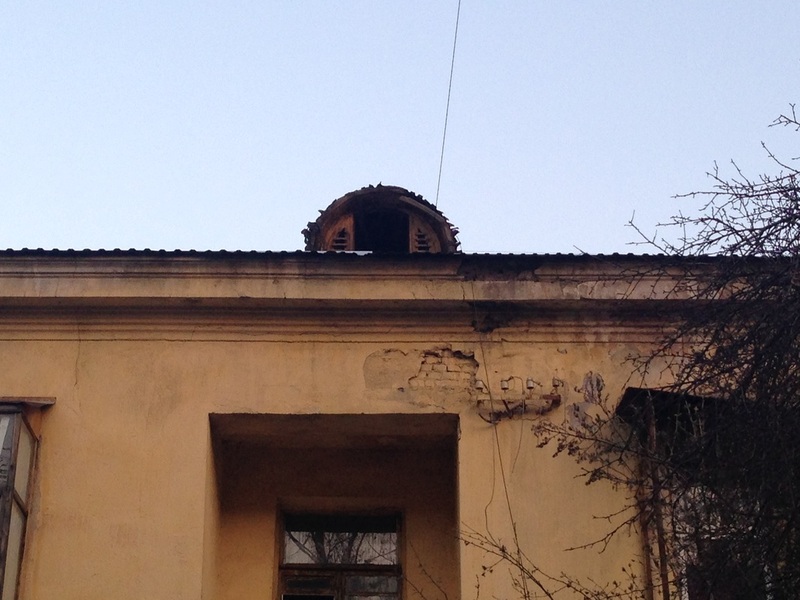 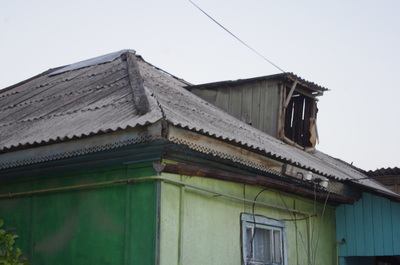 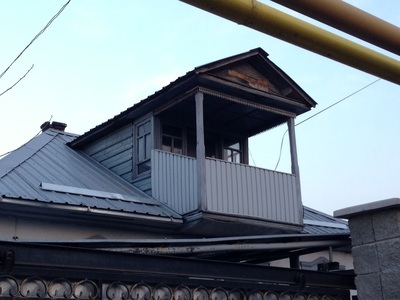 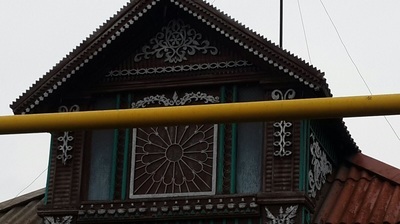 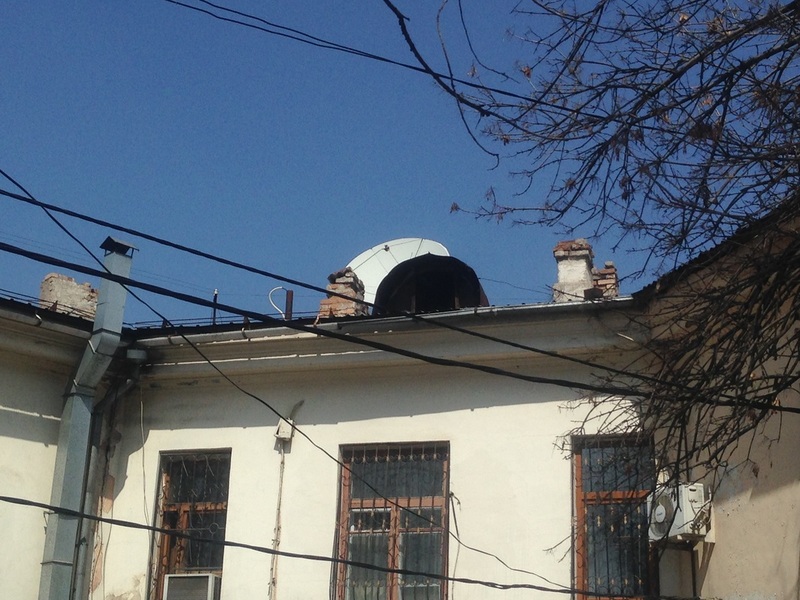 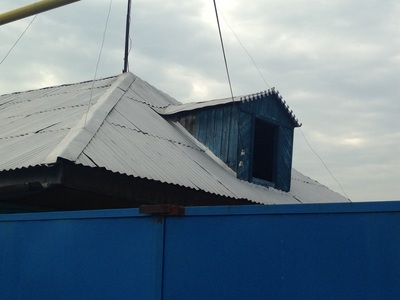 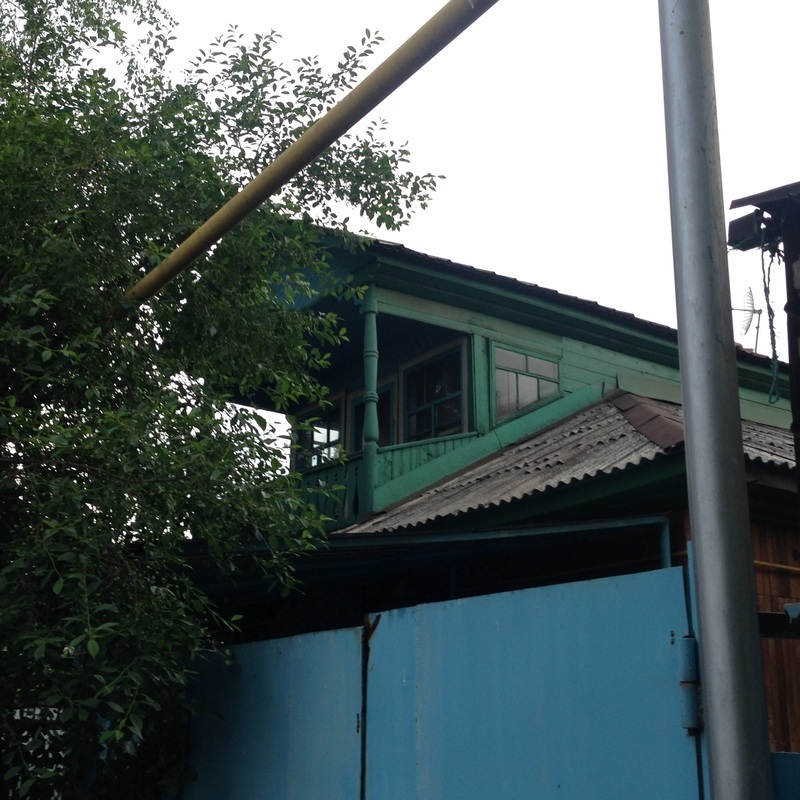 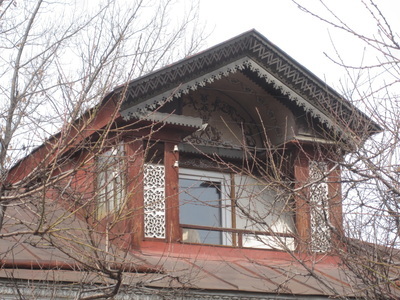 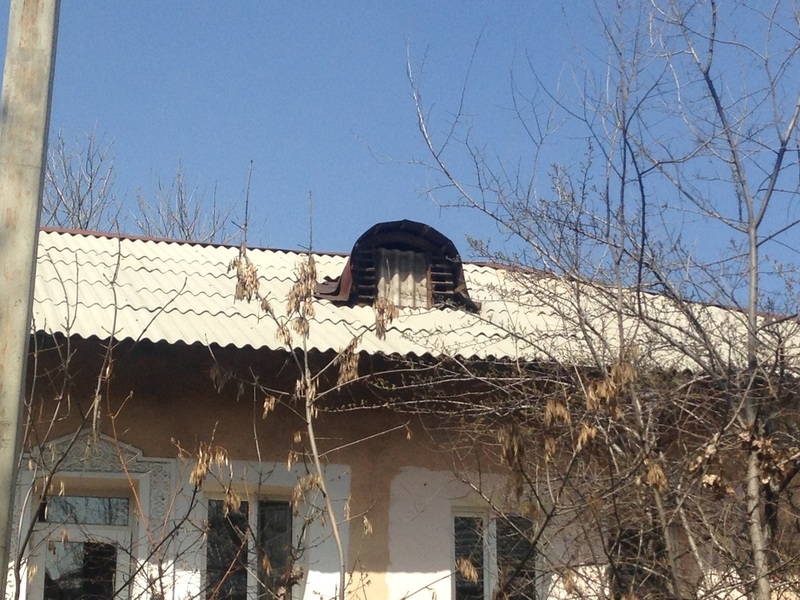 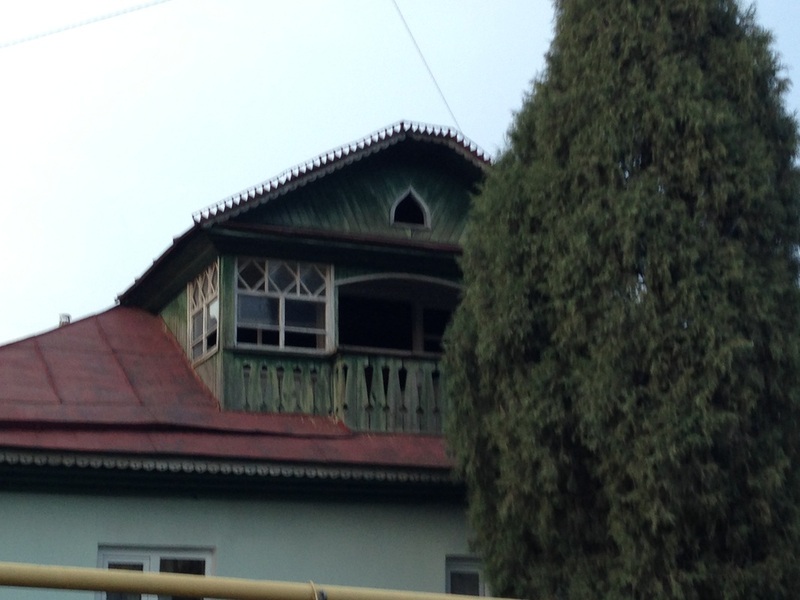 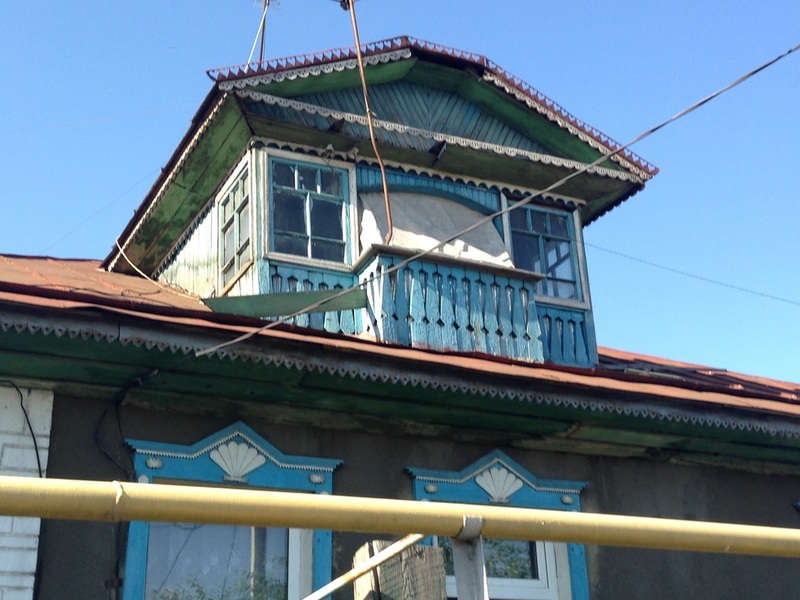 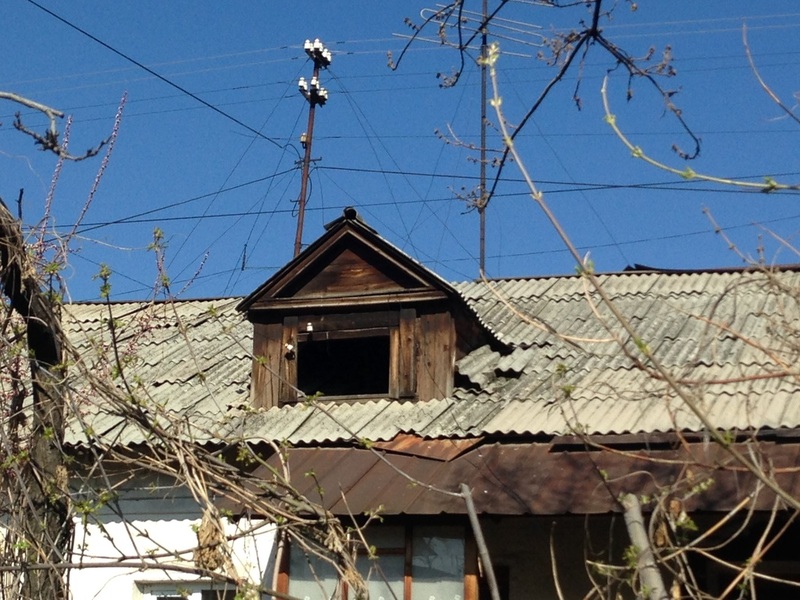 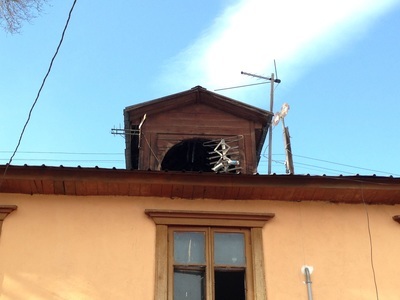 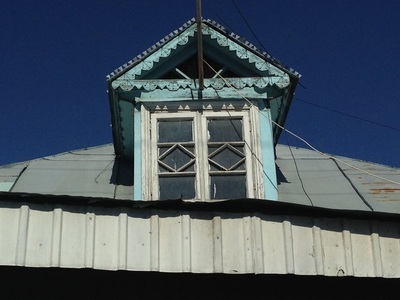 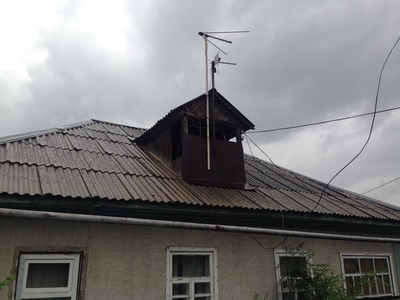 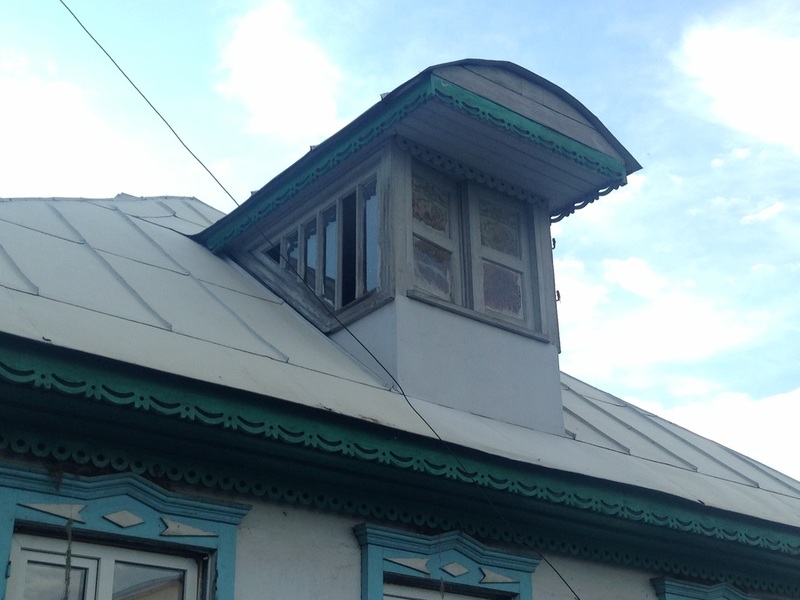 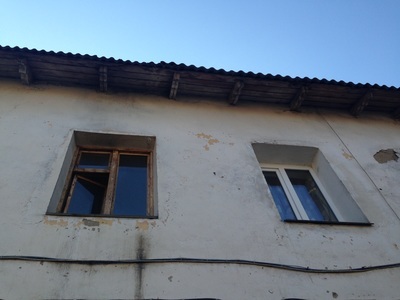 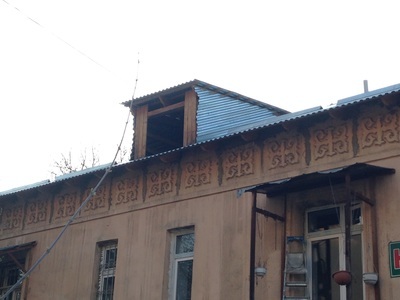 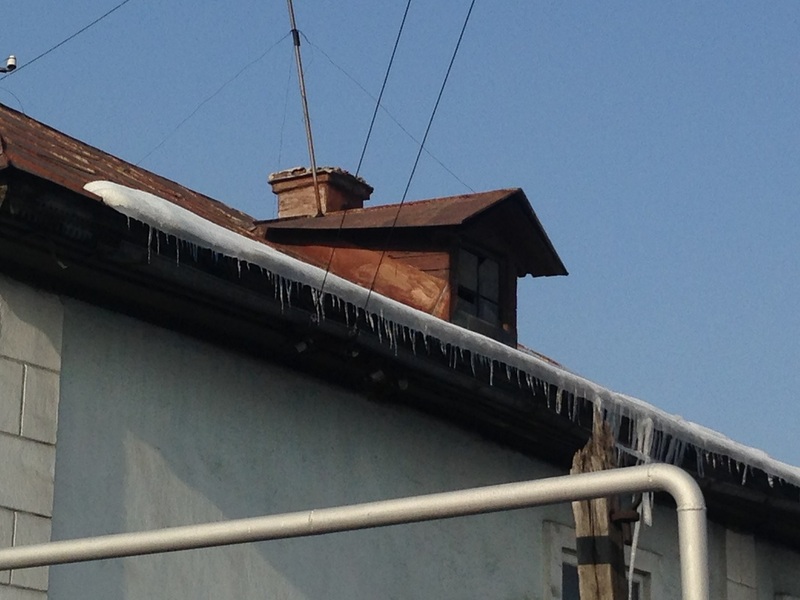 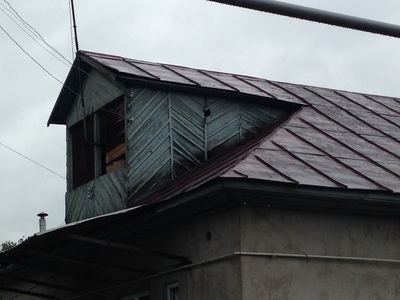 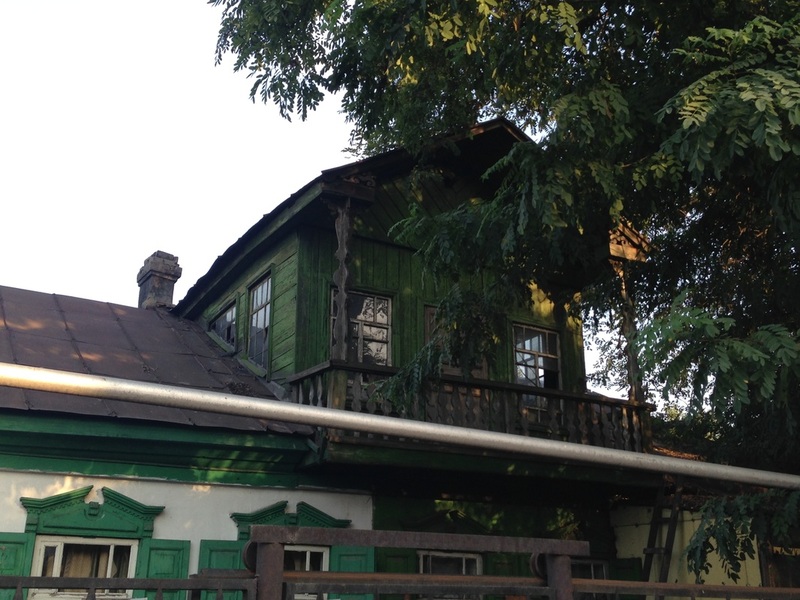 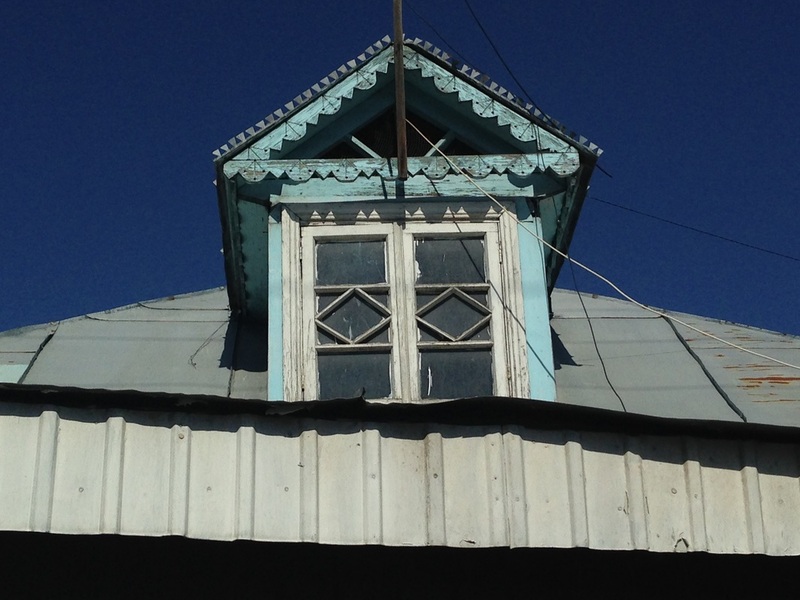 In Almaty, things get a little more complicated, as dormers will sometimes contain an entire balcony in miniature. The effect of the dormer, actually, is precisely this: it looks like a miniature home, sprouting parasitically on the head of a bigger home. 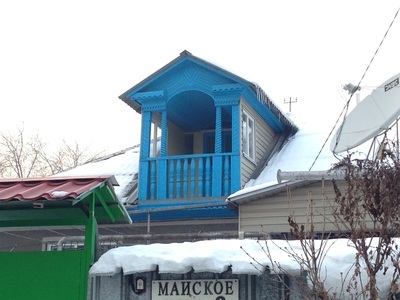 It's almost always an aesthetic indulgence, as the balconies themselves are so comically small as to be useless except for elves and the upper levels are nothing but attics full of sawdust. 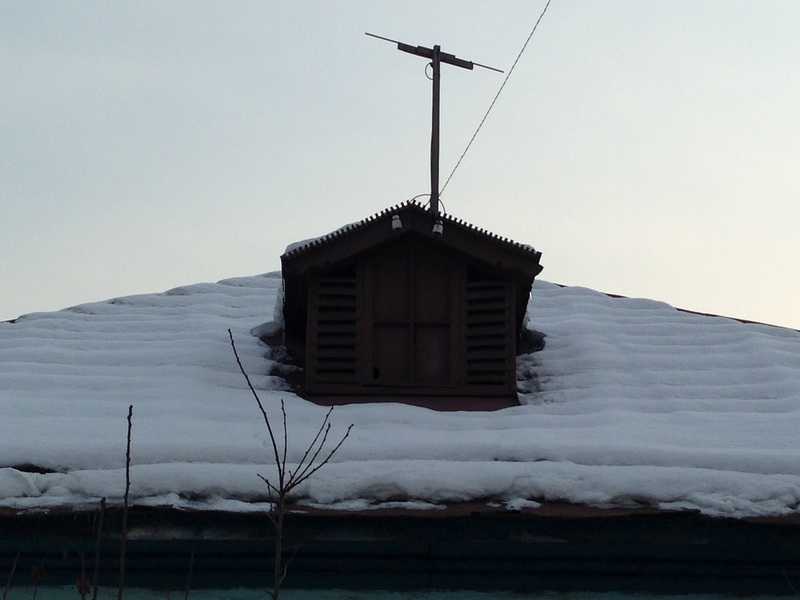 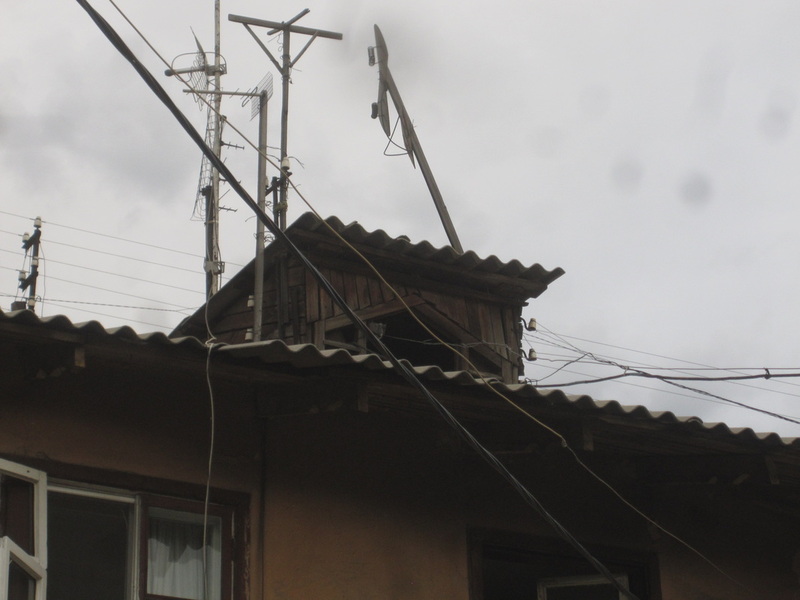 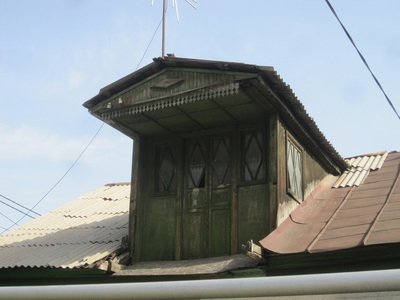 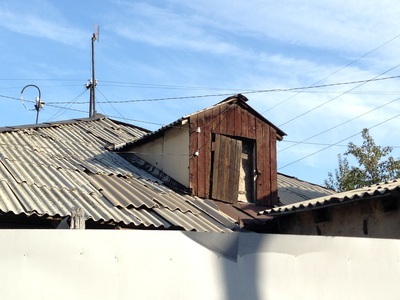 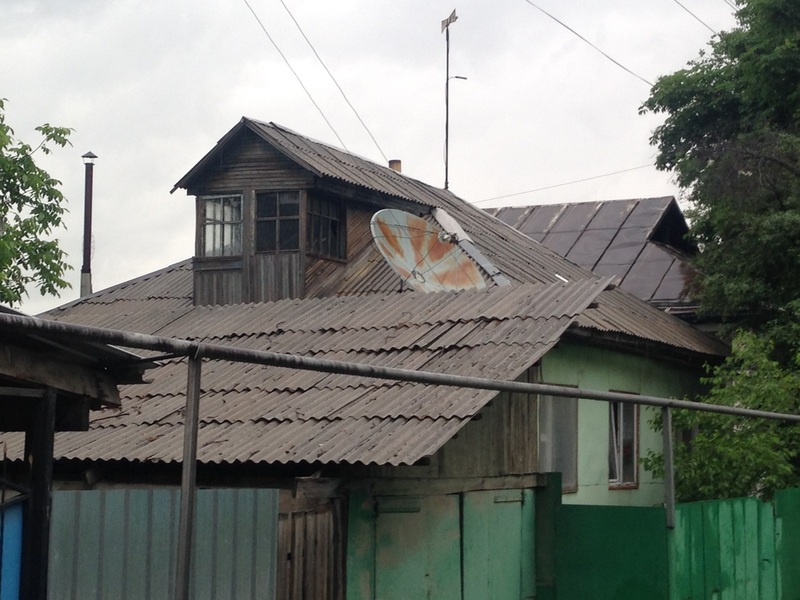 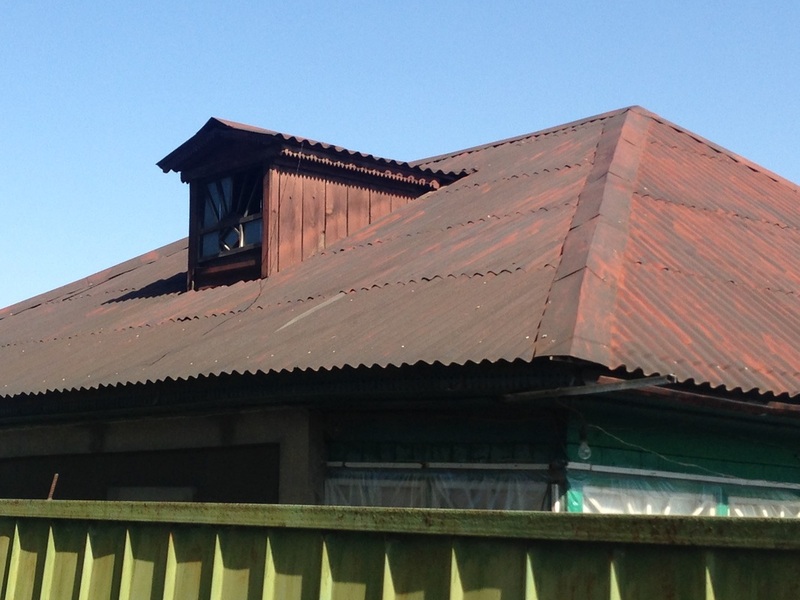 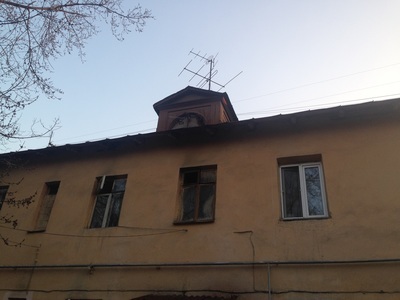 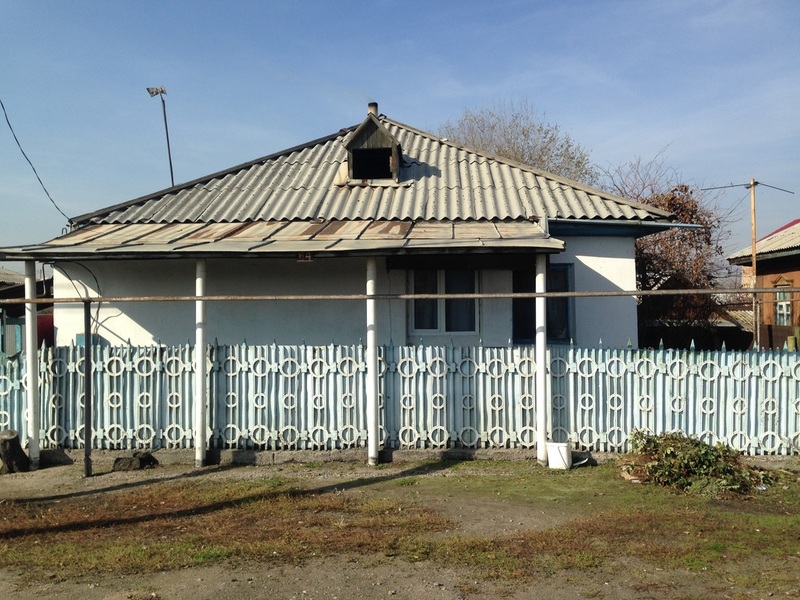 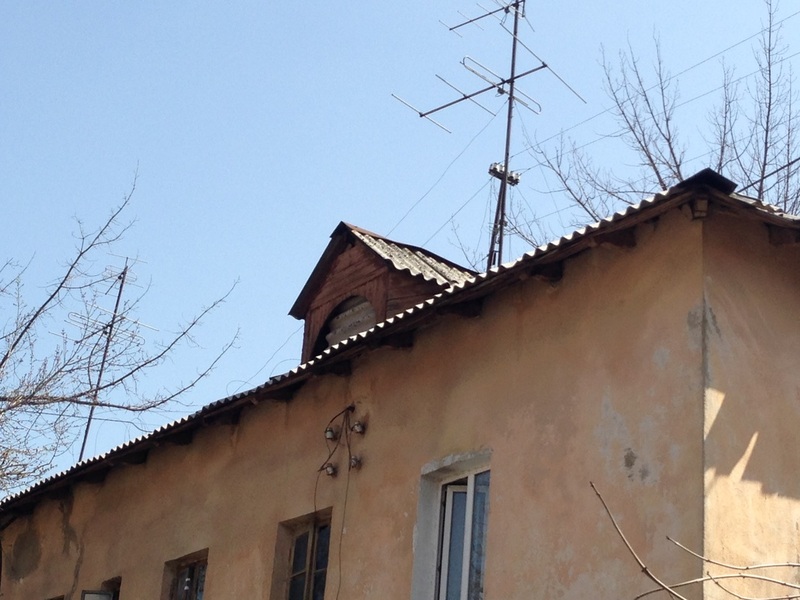 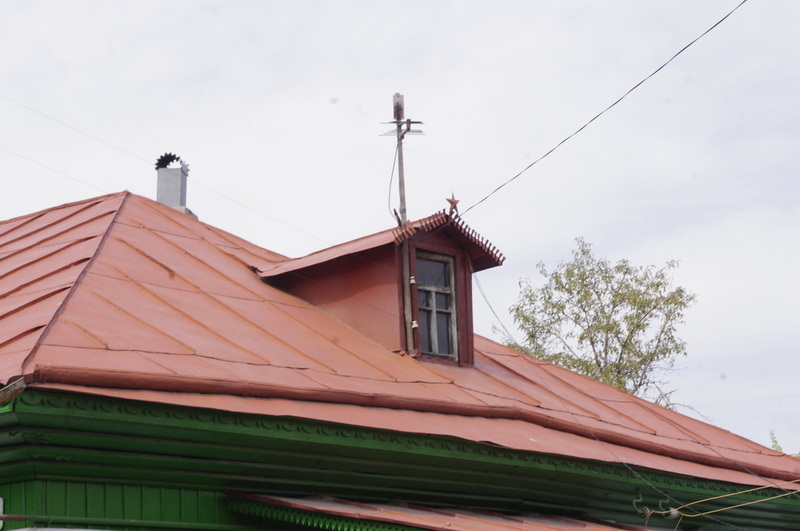 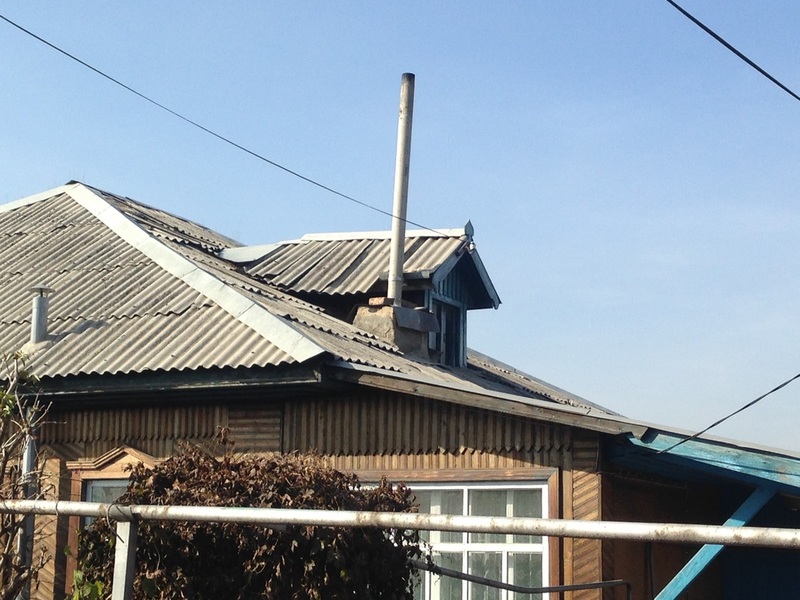 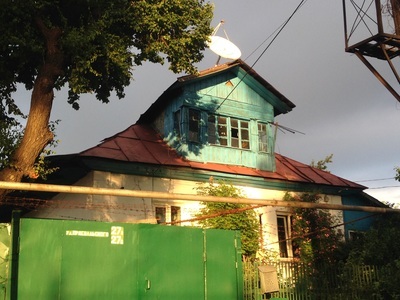 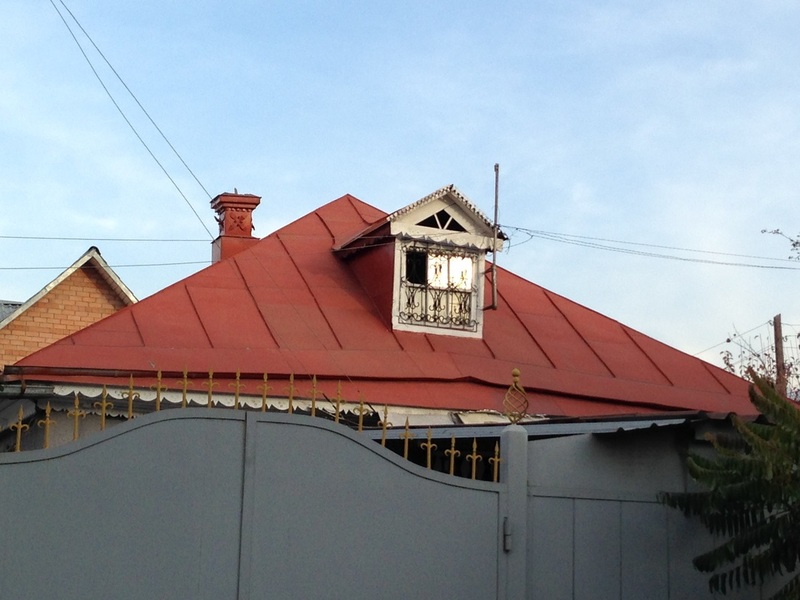 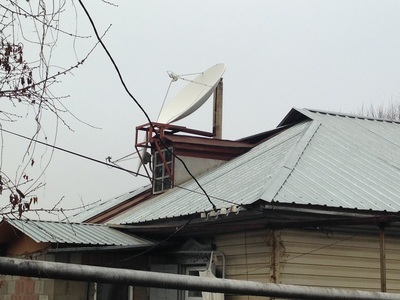 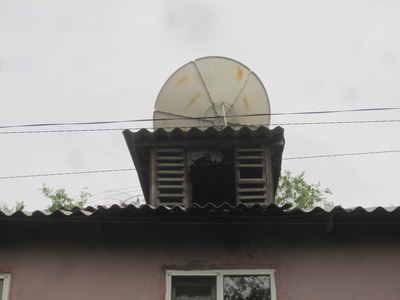 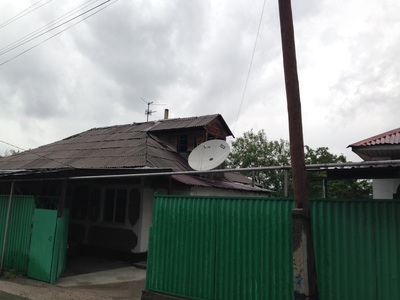 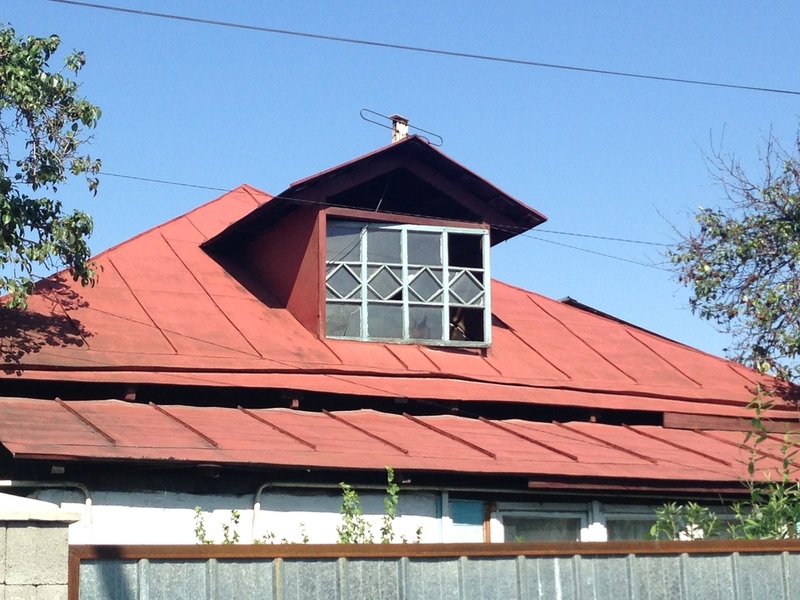 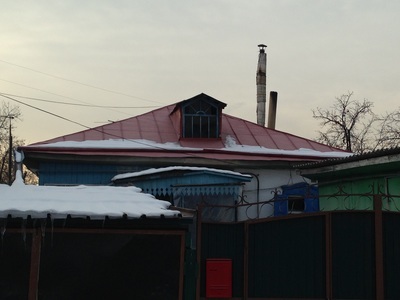 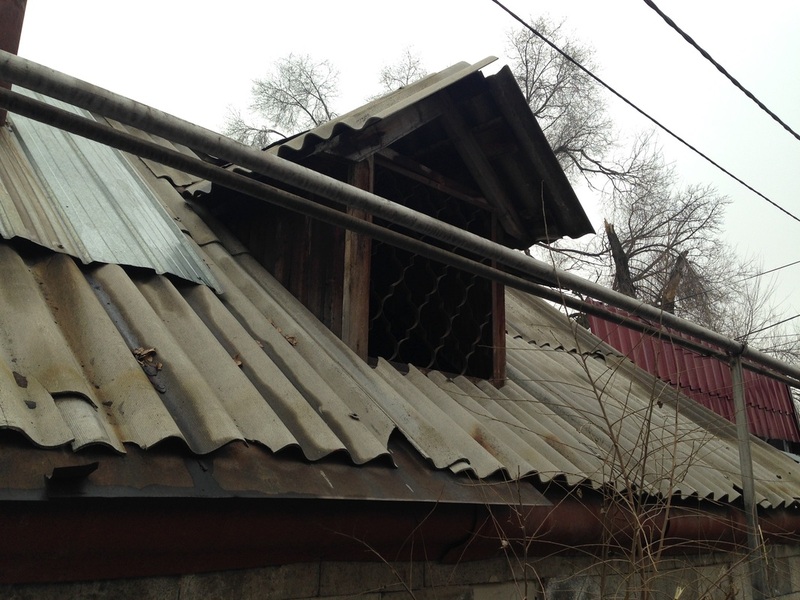 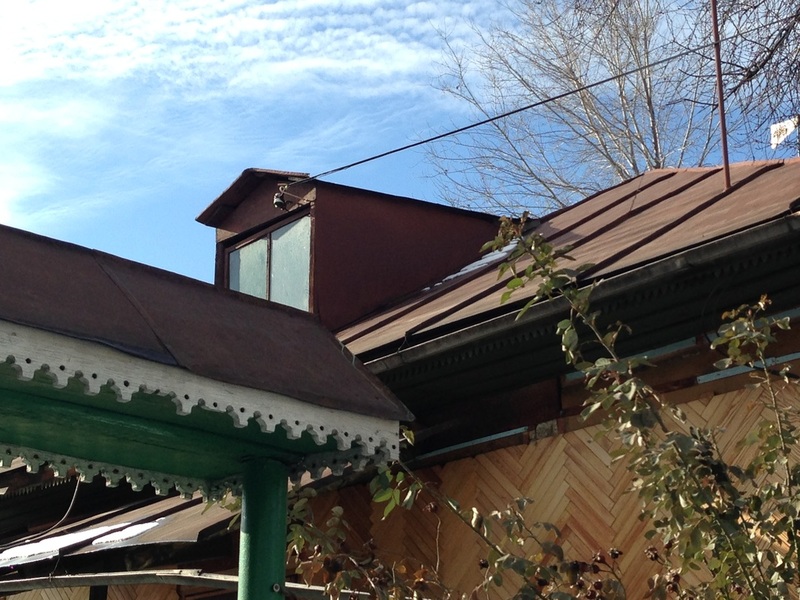 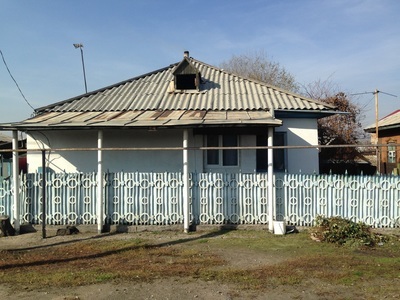 They're cute, though, a welcome variation on the omnipresent hip roof, and they're a rare but fun sight in Almaty's cottage districts.